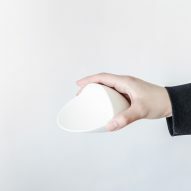 Royal College of Art graduate Ponsawan Vuthisatkul has created a series of food serving tools that aim to challenge people's perception of portion sizes. 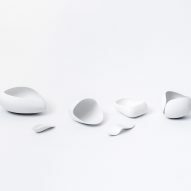 Called The New Normal, the collection features six tools of varying sizes; two extra small, a small, medium, large, and extra large. "This project uses the idea from nutritionists that we can easily compare food portion with the individual hand size," explained Vuthisatkul. "For example, a fist of carb, a palm of protein, a thumb of fat, a cupped hand of fruit, two hands of vegetable." The project aims to pose an alternative to traditional food measuring methods like calorie counting or mathematical measurements, which Ponsawan believes can be easily misestimated. "From my research, I found that only 'knowing how' is not enough to create healthy eating habits. 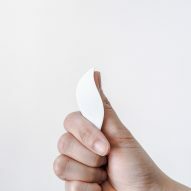 I designed these tools to intervene in people's everyday eating experience," Vuthisatkul told Dezeen. "These tools will help people estimate five basic food groups and then form a new memory and change behaviour in long-term." 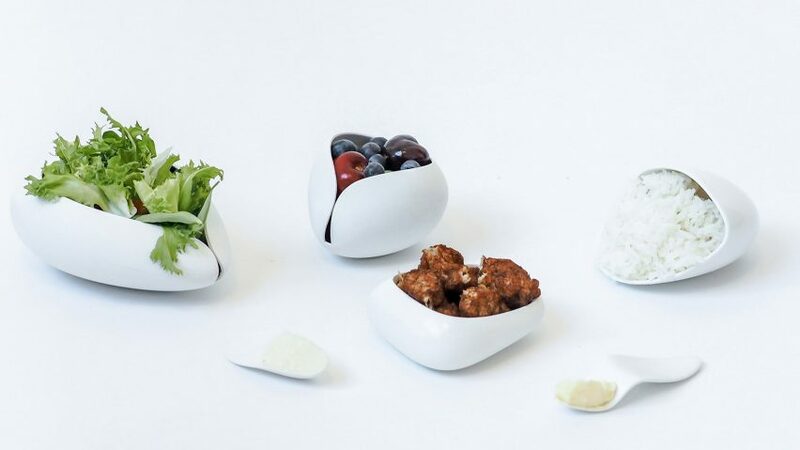 The design products graduate based her project on research that shows 39 per cent of adults worldwide are overweight. "One major factor in rising obesity is portion distortion, which means the growing portion size that people call normal," said Vuthisatkul. She also noticed that many of her Thai friends had gained up to 10 kilograms since moving to the UK. "The food portion size in the UK is about two to three times bigger than in Thailand, and we respond to that by eating more," she explained. 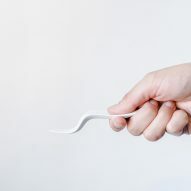 The collection takes cues from nutritionists who say that we can easily compare our food portion size with our hand. "I think this is a very interesting idea because hands are always with us and easy to understand by everyone," she said. 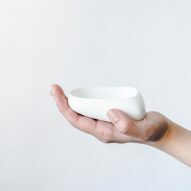 According to Vuthisatkul, each of the four bowls in the collection is designed to correspond to a different hand form that can be used to hold the item. 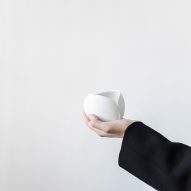 The New Normal was on show at the Royal College of Art as part of their annual degree show. Other graduate projects include a series of brass tools that aim to encourage muscle memory to help train dancers and a portable cooking set for kitchenless millennials.